Without abandoning their ancient duty to the Christianity of Visayas, they fortified their presence in the prosperous province of Luzón. Day by day the Recollects entered into tighter relations with the government, and, consequently, they began to play a more important role in the colony. During the second half of the century there was almost always a Recollect at the forefront of one or other of its five dioceses. 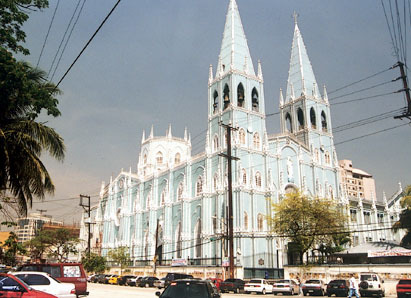 Convent of San Sebastián, Manila. The evangelisation of the island of Negros is their most brilliant achievement. In fifty years (1848-1898) they founded: 60 parishes in Negros; a number of towns, and a secondary education college; they constructed kilometres of road and fostered the cultivation of sugar cane and other products which completely transformed the economy. Their work in Palawan, Mindoro, Zambales and Bohol was also admirable. The Recollects participated enthusiastically in the life of the archipelago. They concerned themselves with the material and social well being of their faithful. They shared their lives, day after day, with simplicity and without fuss; and the most generous threw themselves into the breaking of new apostolic grounds. St. Ezequiel was to be their most distinguished representative. 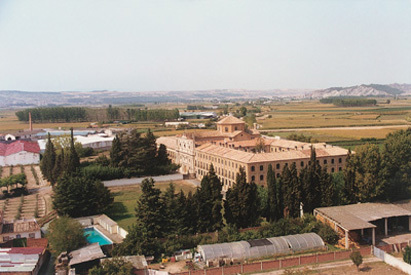 Convent Virgen La Blanca, Marcilla. Unfortunately they paid scant attention to the cultivation of their spiritual identity, which gradually, but inexorably, was becoming ever more relegated to the margins of their every-day life. Individualism, and a priestly-orientated spirituality, almost completely displaced the Recollect asceticism and its communitarian traditions. In the solitude of their parishes there was always the lurking danger of feeling oneself more Priest than Religious. Their human formation also left something to be desired. A badly understood pastoral emergency moved them to shorten their academic and religious formation. With the opening of the colleges of Marcilla (1865) and San Millán (1878) these deficiencies began to change for the better. The period finishes with the Philippine revolution (1896-1998) which led to changes in the sovereignty of the archipelago.